We have some great reviews that our clients from Brooklyn and all over NYC have left us over the years. I had an issue with someone defacing my property with obscenity and the police were no help, so I decided to go this route. Dan answered my call and was available right away, he handled it professionally and I was able to resolve it quite easily with the evidence he provided. Dan made the process easy and I would highly recommend him. With a population of almost three million residents, Brooklyn has a lot to offer and a lot going on. What we particularly love about Brooklyn is how diverse and colorful the population is. Everyone has a story to tell. And everyone needs someone to be in their corner once in a while. And that’s really what American Eagle investigations is all about – to fight in your corner. Many other private investigation companies have owners who are not doing any of the investigative work. Instead, they hire other private detectives to do the work for them. That is not how Dan works: He is out on the streets every day, working hands-on to solve your case! Whether you own and operate a large corporation or you simply want to know if your spouse is cheating, we can help. Whether It’s a Lie Detector Test or a Nanny Cam – We Love Helping Residents of Brooklyn! Some of our best clients and greatest success stories have come from Brooklyn and It is a fact of life that everything is not always as it appears on the surface. Whether it is business partners, job applicants, or even family members – everyone has something they’re trying to hide. The only question is how they do it, what kind of impact their secret will have on you, and what lengths they will go to in order to keep it hidden. Why Hire a Detective in Brooklyn? What do you think of when you think of a detective? Do you imagine someone who searches for murder suspects or investigates major corporate fraud? That’s what they do in the movies right? 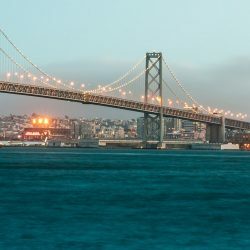 However, a qualified private investigator is someone with law enforcement experience who uses covert techniques and surveillance equipment to uncover the truth behind all manner of domestic and civil cases. So the movies aren’t that far off. The most common situation where people hire a detective is when they suspect that their spouse is involved in an extramarital affair. What we do is utilize our training and equipment to covertly follow the individual in question and prove (or disprove) your suspicions beyond any doubt. The same applies to child custody, nanny surveillance, etc. Our advanced technology and investigative skills also help protect businesses on all levels, through our bug sweeps, asset investigations, VIP protection, and much more. Furthermore, we have unlimited access to numerous databases to perform thorough background checks as part of your pre-employment screening. The added benefit of hiring a detective is that you do not incriminate or endanger yourself while dealing with a sensitive situation. With a professional private detective by your side, you do not risk being charged with trespassing to catch a cheating spouse, hiring someone with a criminal record, or becoming lost yourself while looking for a missing child. 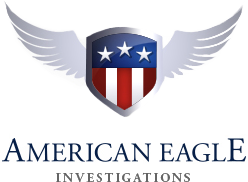 Contact us at American Eagle Investigations: Whether it is a surveillance video, a photo or any other piece of evidence, our experienced private investigators will provide it for you. For more information or a confidential consultation, call us at 212-344-8997 or fill out our contact form below.